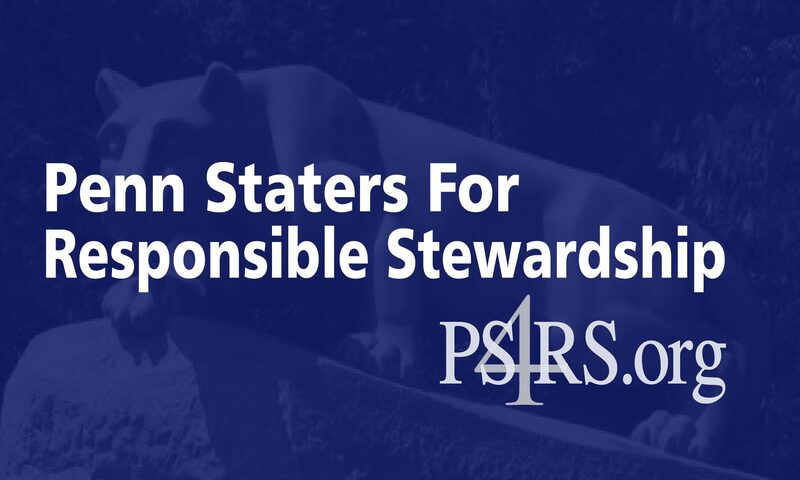 March 14, 2012 — Penn State alumni have withstood silence, evasion and untruths from the Board of Trustees in the months following the unpopular November dismissal of University President Graham Spanier and former Coach Joe Paterno. They’ve created petitions, assembled groups and held rallies to affect positive change at the Board of Trustees level. Across the country, alumni, nearly one million strong, have been bracing for an upcoming election of three Board seats that would provide a small, but symbolic step toward healing and positive change. Then came what many consider to be a tipping point – Monday’s “non-statement” from the Board, an unsolicited continuation of their deflection of personal responsibility for lack of knowledge and action regarding a legal case that was more than six months in the making. The board’s decision to unnecessarily thrust Penn State back into the national news for the benefit of their own defense proved to be one of their most reckless decisions, of many, to date. It ignited the ire of legions of alumni who had previously been willing to play by the rules, replacing three Board members at a time, according to current Board procedures. This same Board of Trustees was informed of the Grand Jury investigation, at the latest, in May 2011, yet failed to follow-up, failed to ask a single question, failed to launch an internal investigation, and failed to direct University Counsel to provide guidance. Instead, the Board of Trustees sat silent until the media firestorm of November 2011, then attempted to deflect responsibility and blame from themselves and their leadership to the Athletic Department and Coach Paterno.